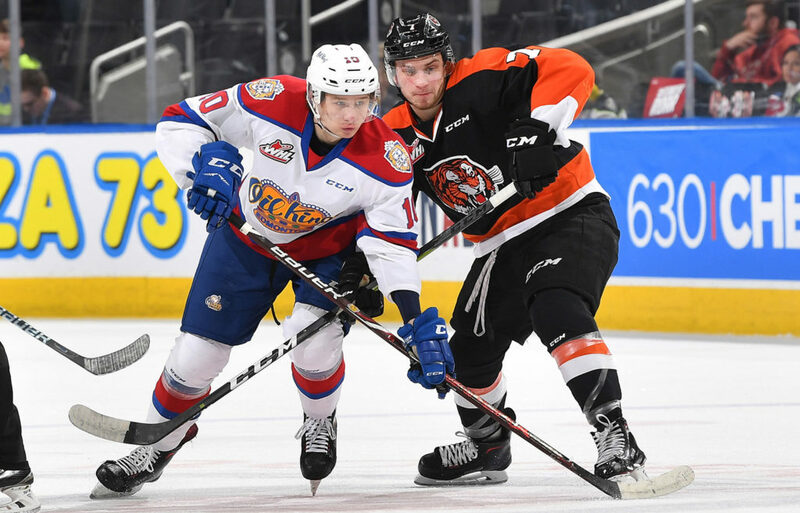 Five different Medicine Hat Tigers (2-1) etched the scoresheet in a 5-0 win over the Edmonton Oil Kings (1-2) in front of 2,685 fans on Tuesday night. 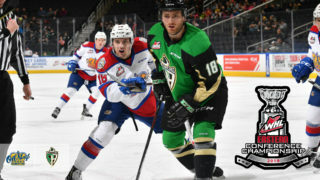 Medicine Hat now leads the best-of-seven Eastern Conference Quarter-Final playoff series, 2-1, but the Oil Kings will get their chance to even the series in short order tomorrow night back at the Canalta Centre. 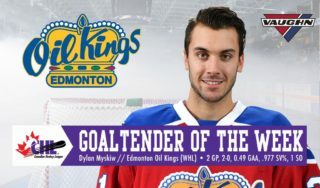 Dylan Myskiw (1-2) took the loss in goal for the Oil Kings, surrendering four goals on 23 shots before Todd Scott entered the game in the third in relief, making 10 saves on 11 shots. 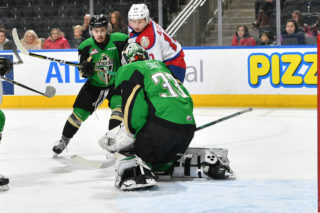 Mads Sogaard (2-1) picked up the shutout win, denying Edmonton’s offence on each of their 32 shots. Cole Sillinger gave the Tigers a 1-0 lead with under five minutes to play in the opening frame, assisted by Logan Christensen and Linus Nassen, which was the eventual game winner at 15:09 and the lone goal of the first period. 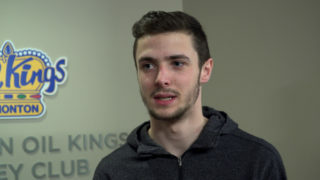 James Hamblin’s second goal of the playoffs was also his second shorthanded goal of the series, giving Medicine Hat a 2-0 lead from Tyler Preziuso and Trevor Longo at 9:24 of the second period. Elijah Brown tallied his first of the post-season just over three minutes later, from Eric Van Impe, at 12:53 to send the game into the third period with the hosts leading 3-0. Shots on goal in the first period of play favoured Medicine Hat, 12-8, and 13-8 Edmonton in the second. 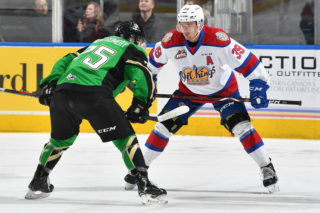 In the third, any momentum the Oil Kings had hoped to build was dashed in the early-going, as Ryan Chyzowski extended the Tigers lead to 4-0, assisted by Nassen, just 1:55 into the frame to end the night of Myskiw. At 5:45 of the period, Vince Loschiavo was awarded a penalty shot but was denied on the attempt by Sogaard. Hayden Ostir iced the 5-0 victory for Medicine Hat at the 10:19 mark of the third. Final shots on goal were 34-32, Tigers. Medicine Hat was 0-for-6 on the power play, while Edmonton finished the game going 0-for-2 with the man advantage. Cole Sillinger (MH) (3), James Hamblin (MH) (2), and Mads Sogaard (MH) (1) were selected as Three Stars of the Game. 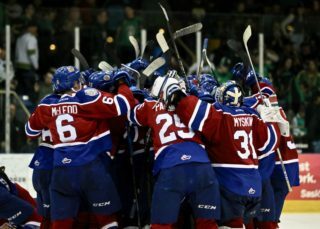 Wyatt McLeod, Ethan Cap and Matthew Robertson each wore an “A” and skated as alternate captains to Trey Fix-Wolansky. Game 4 will take place tomorrow, Wednesday, March 27 at the Canalta Centre at 7:00 PM MT. Game 5 will take place on Friday, March 29 back at Rogers Place at 7:00 PM MT. Tickets to the game are on sale now and available for purchase online here.